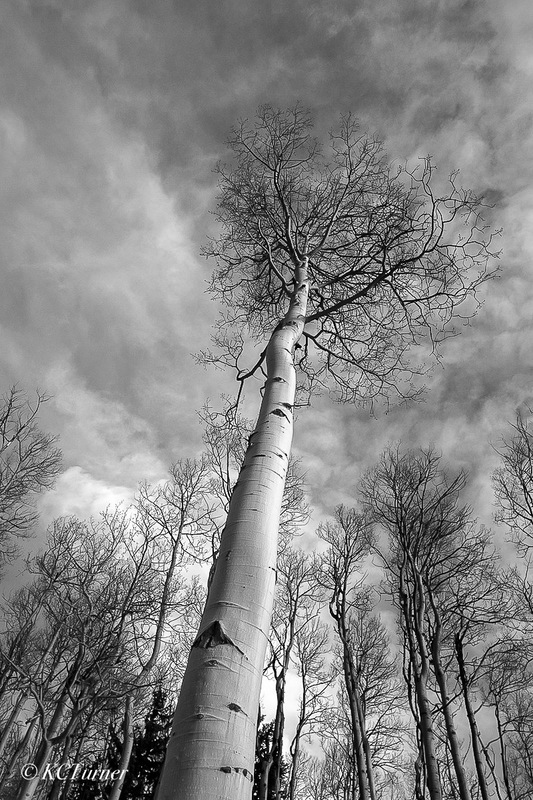 Monochromes of trees always rank high with my photographic renderings and the endless groves of Aspens found throughout Colorado offer up treescapes second to none as this capture photographed in Pike National Forest depicts. Photo © copyright by K.C. Turner.